Kit will not ship until after November 1, 2018. 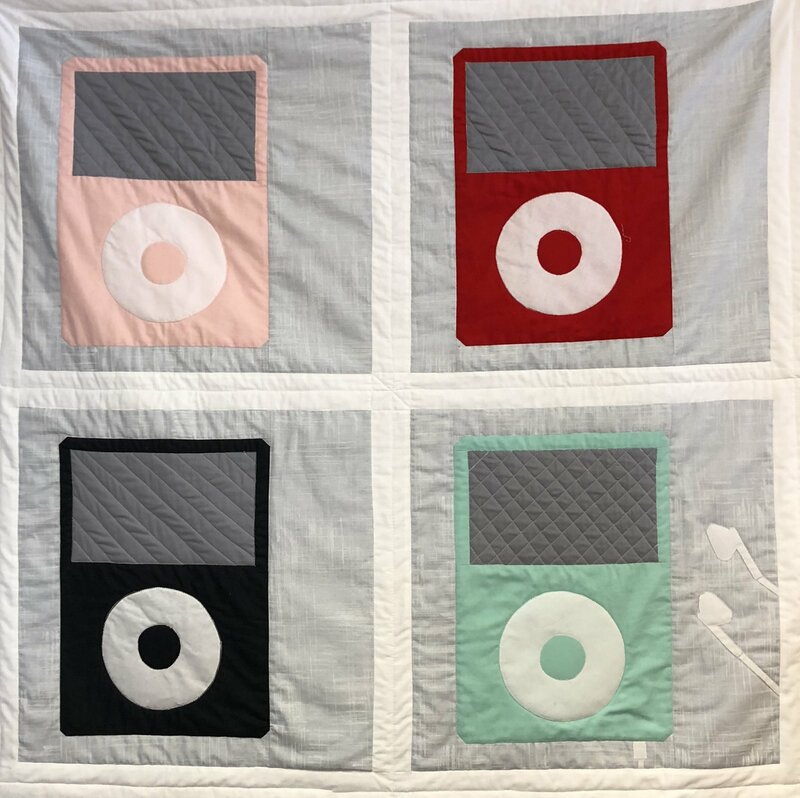 Kit includes one pattern and materials to make one mp3-player block, including enough fabric and fusible web to add headphones. Choose a color and we'll take care of the rest! Or, if you want, order all 4 for a full quilt!